MR Online | Global instability and the development project: is the twenty-first century different? 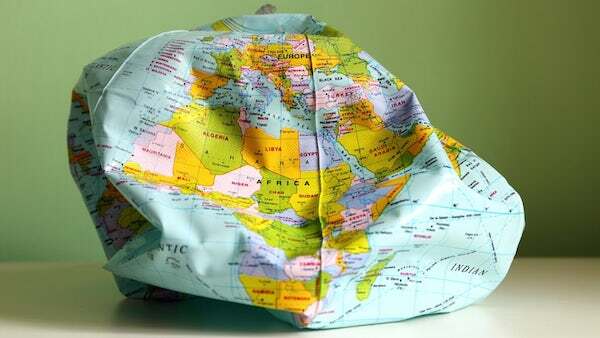 Global instability and the development project: is the twenty-first century different? GLOBAL CAPITALISM TODAY: UNSTABLE, MORIBUND, OR JUST RESTING? Ever since the global financial crisis of 2008–2009, the trajectory of the world economy has been hesitant, unstable and prone to many risks. Output recovery has been limited and fragile; and, more significantly, even in the more dynamic economies, it has not increased good-quality employment or reduced inequality and material insecurity. Global capitalism as an economic regime is increasingly unable to deliver on its own promise of continuous expansion within a largely stable society. Even so, discussions of the ‘end’ of capitalism still typically seem overstated and futile, not least because those hoping and mobilising for bringing in an alternative system are everywhere so scattered, weak and demoralised. In effect, capitalism remains the only game in town, which is why even in its current debilitated and even decrepit state, there are no rivals. Indeed, it could be argued that the current difficulties of capitalism are not the result of any external threat or combined socio-political opposition to it, but because it has been too ‘successful’ for its own good, and so has to confront the contradictions generated by this ‘success’. Contemporary globalised capitalism has managed to overrun and conquer its opponents or those that could restrain it (such as trade unions and other associations of workers that could reduce capital’s bargaining power; democratic accountability working through regulatory structures that limit or constrain the activities and profits of capitalists and large corporations; expressions of collective concern voicing the requirements of the larger social good; and so on) to the point where it is now almost completely untrammelled. As a result, there are no checks and balances of the kind that in various periods in the past have generated both less economic volatility and more social stability within a broadly capitalist framework. In purely economic terms, this ‘success’ of capitalism in vanquishing its opponents means less expansion of demand for products that the system must keep coming up with in terms of its own logic. It also means less ability to create new sources of demand, as financialisation and credit bubbles also appear to have run their course, despite almost endless injections of synthetic liquidity through very loose monetary policy. In ecological terms it means the accelerated exploitation and degradation of nature, to the point where it is not merely irresponsible with respect to the future but actively damaging material conditions in the present. In socio-political terms, it means more widespread despair, alienation and individualised responses that threaten the very basis of functioning societies. In an almost textbook extension of the biological argument of the prey–predator relationship, it could be argued that capitalism as a system is in the process of killing off all its prey, to the point that its own existence could be threatened, even if not in the form of an ‘overthrow’, but simply by losing steam altogether. This is most evident globally in the overall deficiency of demand that characterises the world economy, despite a few pockets of relatively fast expansion. The underlying causes of this aggregate demand deficiency have existed for some time, but they were disguised by credit-driven expansions that were inherently unsustainable. The boom that preceded the crash of 2008 could occur because (particularly in the United States, but also in parts of Europe and some emerging markets) wage stagnation that would have led to stagnant demand was countered by financialisation that enabled consumption to increase faster than the real incomes of the majority of workers. As has been widely argued (UN 2006; UNCTAD 2008; Ghosh 2010), the pattern of pre-global-crisis economic growth in both developed and developing countries suffered from several limitations, paradoxes and inherent fragilities. These ranged from economic imbalances to environmental constraints to social and political tensions and volatility emanating from increased inequalities. As is well known, in the U.S. and other advanced economies, the boom was based on speculative practices enabled and encouraged by financial deregulation. It also drew recklessly on natural resources in a manner that has created a host of ecological and environmental problems, especially in the developing world. Even during the boom, despite aggregate employment increases, most paid work became more fragile and less secure, in both developed and developing countries. Furthermore, because its benefits were spread so unequally, most people in the developing world–even many in the most dynamic economic region of Asia–did not really gain from the boom. Jayati Ghosh is professor of economics at Jawaharlal Nehru University, New Delhi, and the executive secretary of International Development Economics Associates (IDEAS). She is closely involved with a range of progressive organisations and social movements. She has written for Monthly Review and blogs at triplecrisis.com and networkideas.org/jayati-blog.